As any working Solo Mom knows the best-laid plans for a drama-free day at work can easily be derailed by a parenting dilemma. Whether you’re dealing with a sick child, a school holiday, or a missed school bus, life goes on. Here are a few tips to help you cope. Simply put, kids get sick. If you’re a working mom, you have the added challenge of balancing job and child-care obligations. 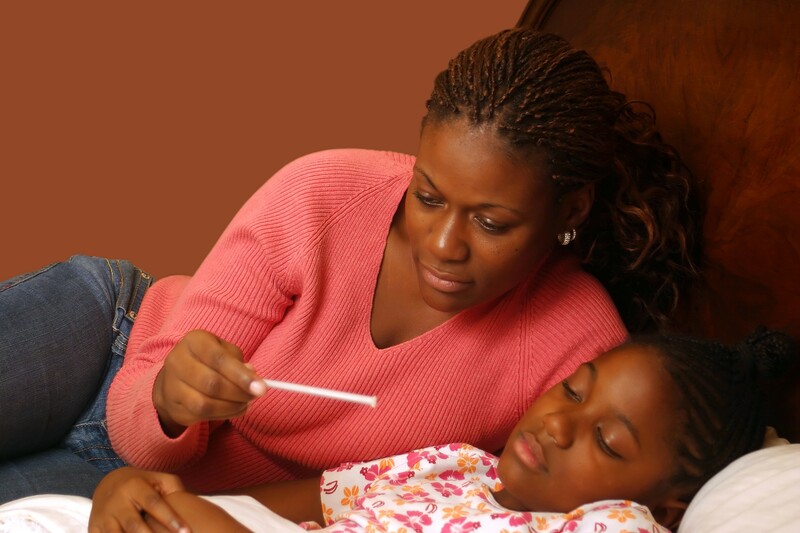 If you are eligible for paid sick or personal days, try to set aside a few to use for those times when you must stay home to take care of a sick child. If you can’t stay home, cultivate a list of back-up babysitters who can be available on short notice. While still relatively few and far between, another option in some areas are sick-child day-care centers. These programs, often based in hospitals, accept mildly ill children with sore throats, sniffles, low-grade fevers, and other minor bugs who might normally be turned away or sent home from school or day care. Most are staffed by licensed healthcare professionals who can dispense medications as needed, allowing you to drop off your child and head to work, knowing your little one will be cared for. These centers are not always widely advertised, so try an online search, check with nearby hospitals, or contact the local or state social-service agency that licenses daycare centers in your area to see if this concept is an option for you. While it may require a bit of juggling, at least you can anticipate and plan for most school holidays. Be sure to get a copy of your child’s schedule as early in the school year as possible and identify the dates when you may need to request time off from work or arrange for a babysitter. If your children are old enough to keep themselves occupied but not old enough to be left home alone, see if you can work from home, if doing so is at all feasible given your job requirements. You might also consider forming a network with other Solo Moms in your community where each of you agrees to assume child-care responsibilities for all of your children on assigned dates. The “barter” system also has merits. For example, you might offer to swap weekday child-care coverage for weekend carpool duty. It’s one of those chaotic weekday mornings: you overslept, breakfast is late, and the school bus just whizzed by your front door. What to do? Make arrangements in advance, perhaps with a retired extended family member or neighbor who is home during the day who can assist in a pinch. If your child is old enough, and it is a safe option in your community, teach him or her how to use public transportation to get to school. Do a few test runs before the school year begins. Check with your child’s school for other options. Whether you’re already employed or in the midst of a job search, take time to look beyond salary and basic benefits to consider whether the company offers “family-friendly” perks that support work/life balance. For example, some companies offer subsidized or discounted back-up day-care benefits—either in-home, at the work site, or through partnerships with external providers—for days when your child’s school is closed or your primary child-care arrangements fall through. Abbot Laboratories (based in Abbot Park, Illinois) and Automatic Data Processing (Roseland, New Jersey) maintain child-care centers at their largest offices and provide discounts for child care at several other facilities. Other companies support flexible schedules and telecommuting. Freddie Mac, located in McLean, Virginia, reports that more than 80% of its female employees telecommute at some point during the year. The common theme across these scenarios is preparation. While you don’t know when your child will get sick or when she’ll miss the bus, it’s a safe bet it will happen sometime. For your child’s well-being—and your sanity—it pays to come up with a strong Plan B.
Brenda Melvin is a Virginia-based freelance writer who specializes in workplace trends and career-management issues. Her work has appeared in various publications, including the Chicago Tribune, Northern Virginia magazine, and Heart & Soul magazine.